What’s in a font? 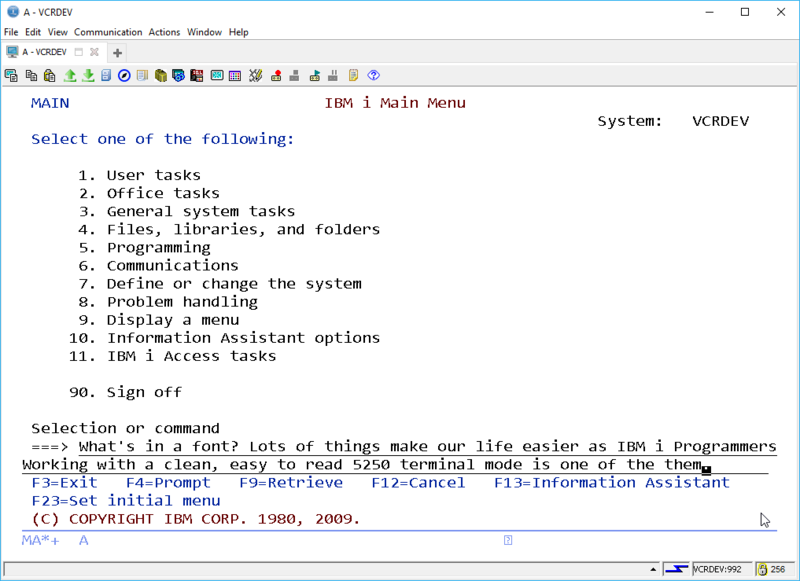 Lots of things make our life easier as IBM i Programmers. 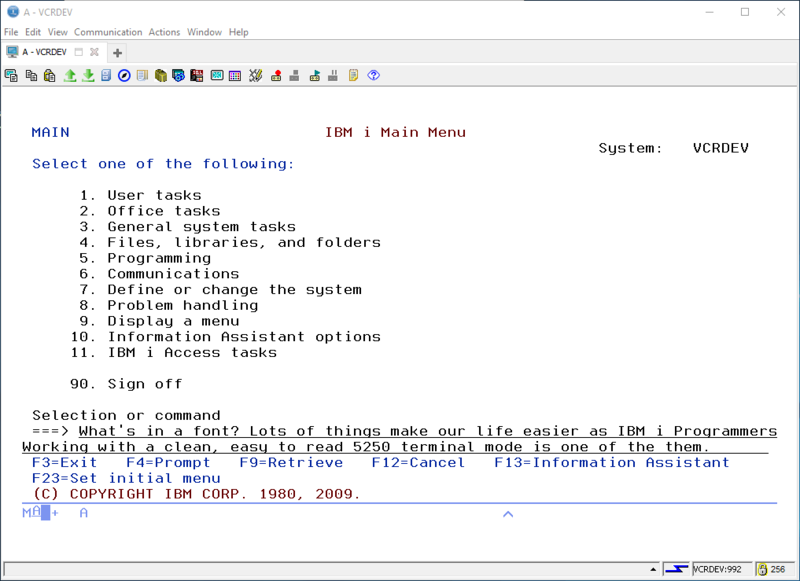 Working with a clean, easy to read 5250 terminal mode is one of the them. 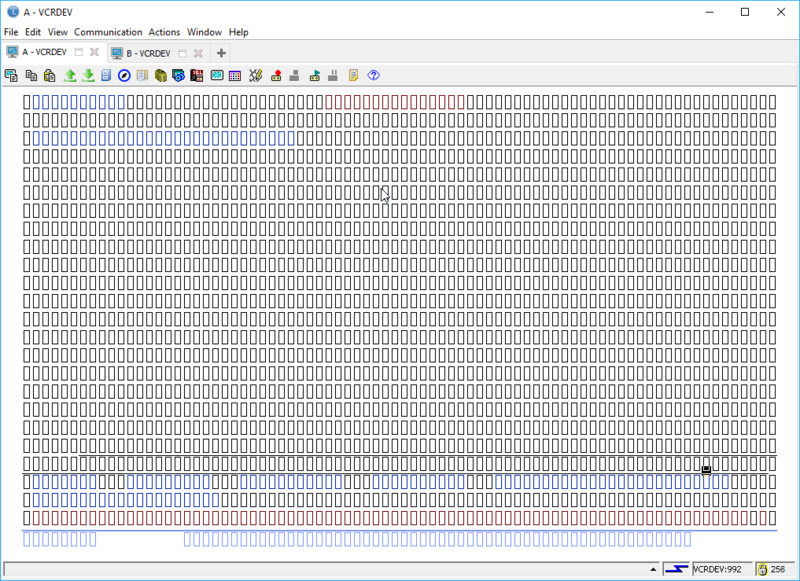 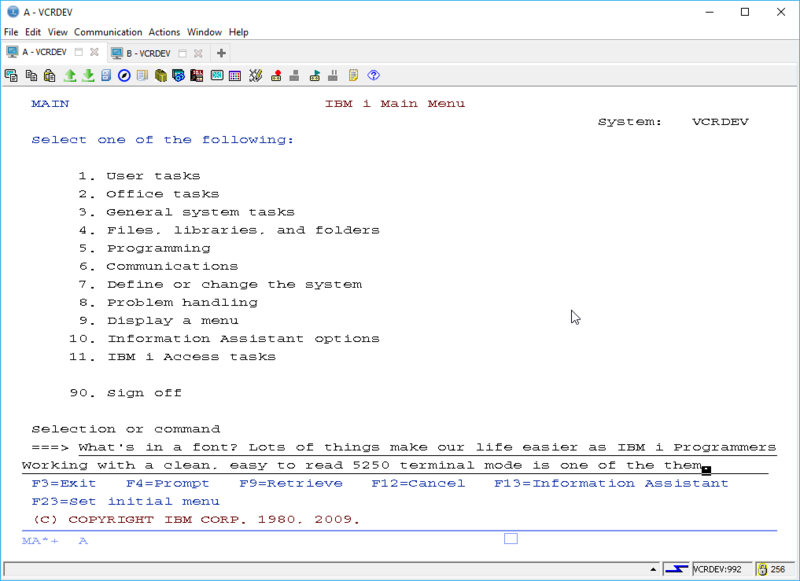 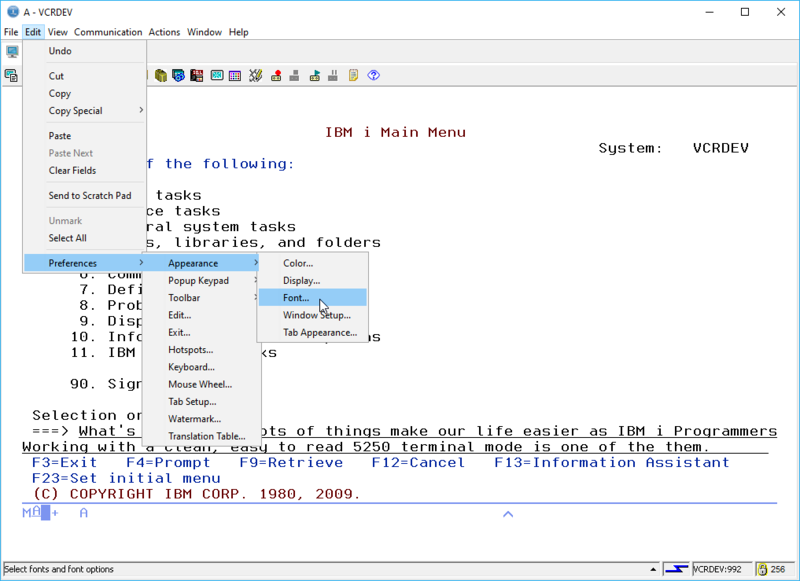 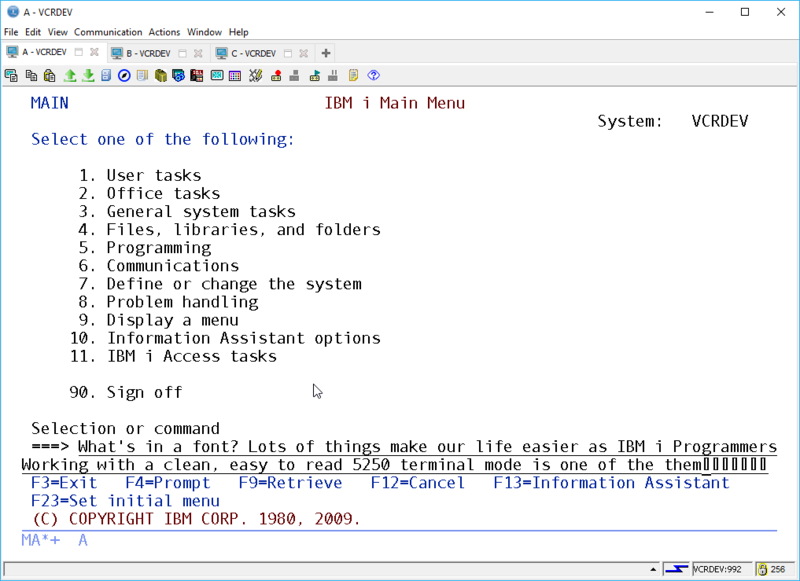 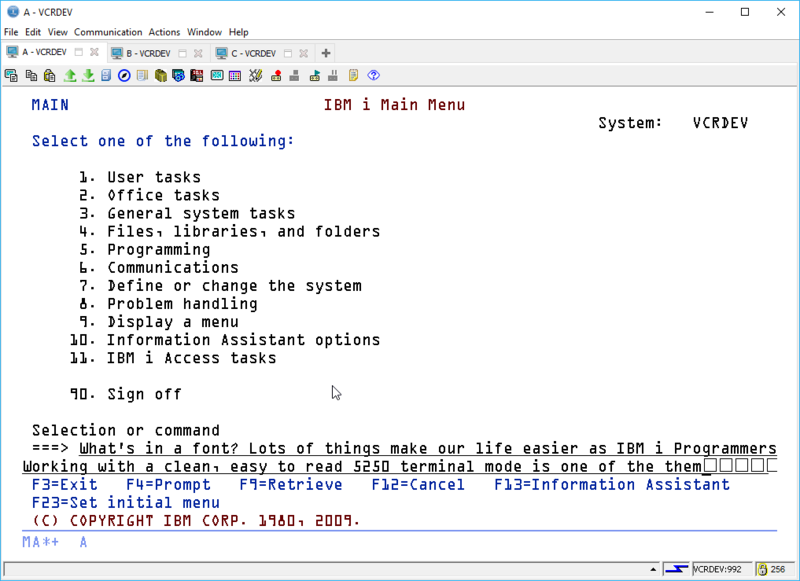 I’m a big fan of Mochasoft terminal emulator, but growing to love the new IBM i ACS (Access Client Solutions) with its multi-tabbed approach to telnet sessions. While I’m at it. I looked at all the available fonts this morning. 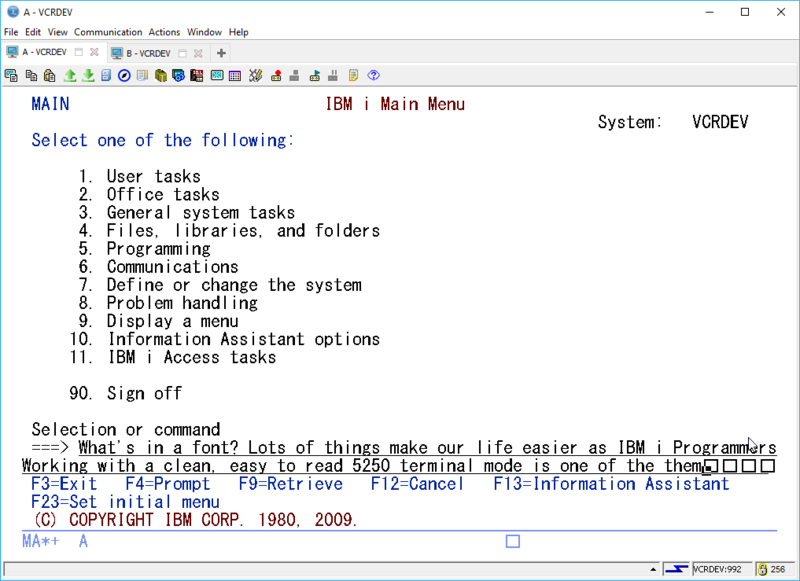 I like the default IBM3270 but feel that there must be a better monospaced font out there. In my mission to check, I flicked through all the fonts and grabbed a quick screenshot to compare them. 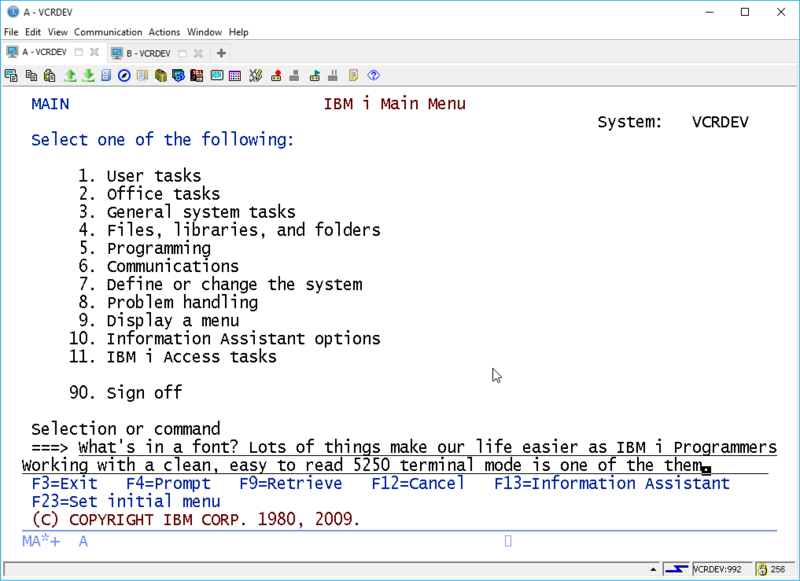 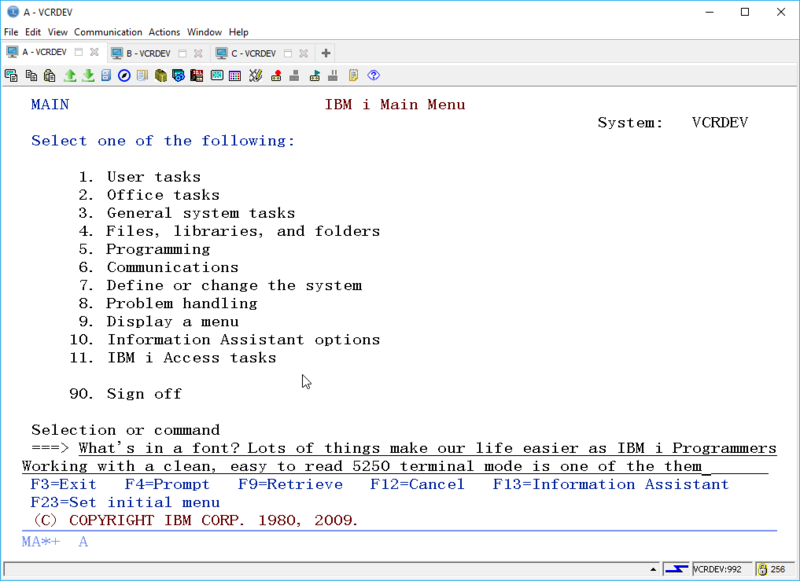 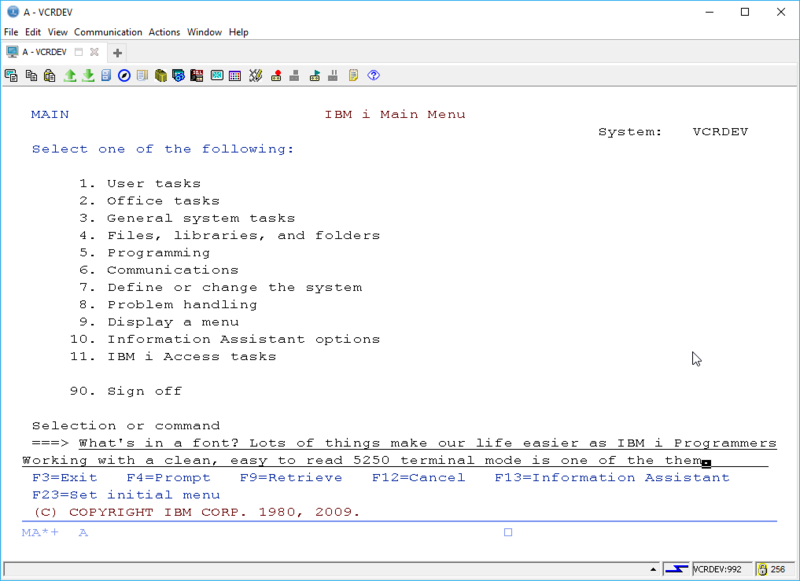 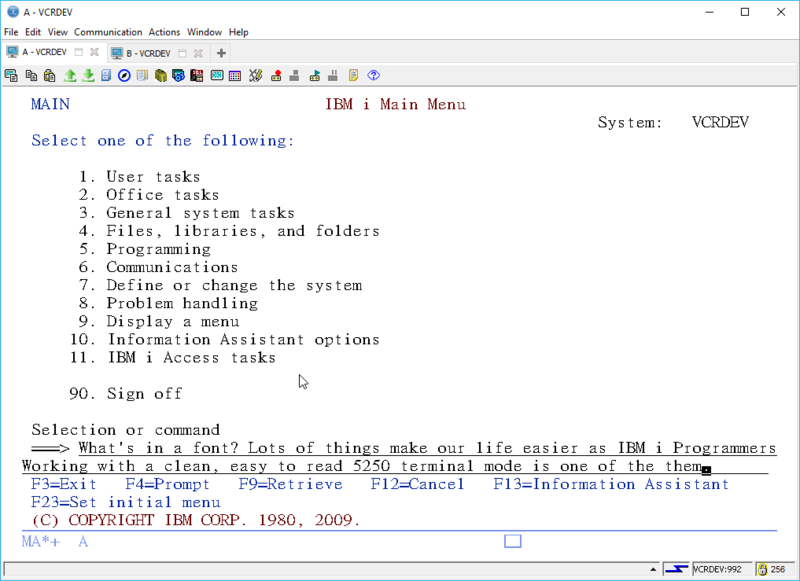 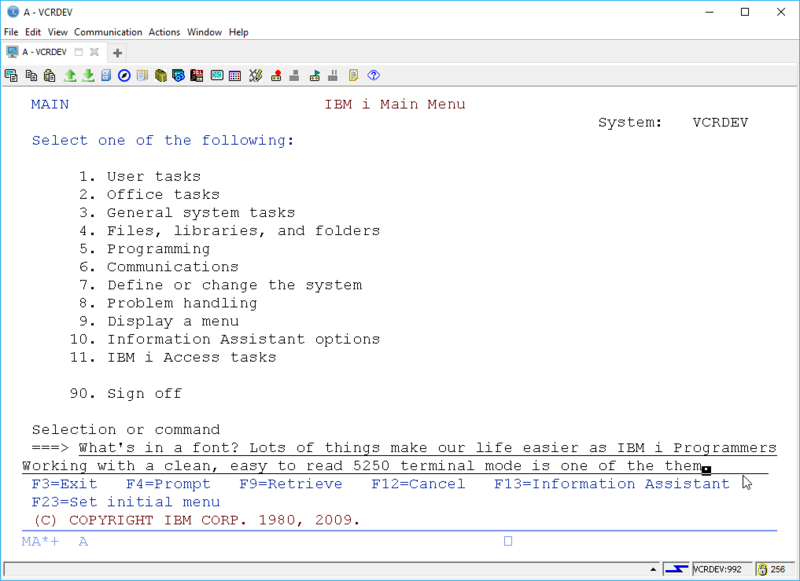 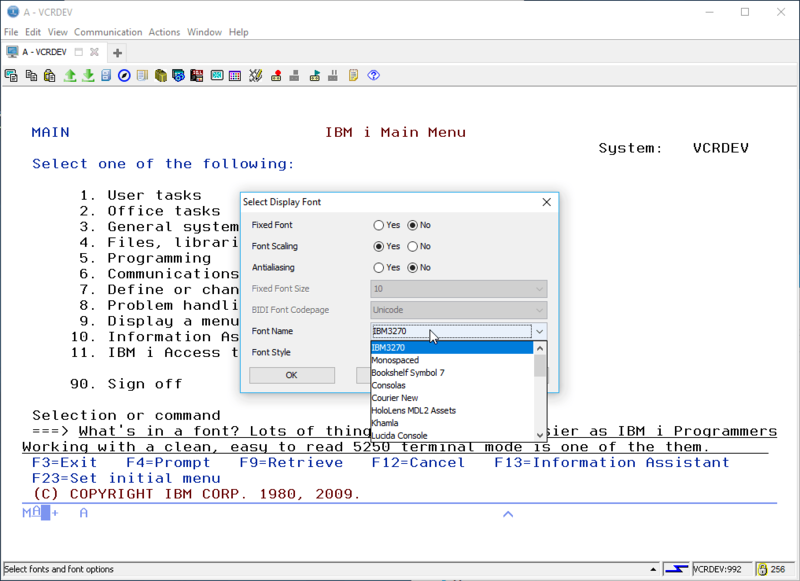 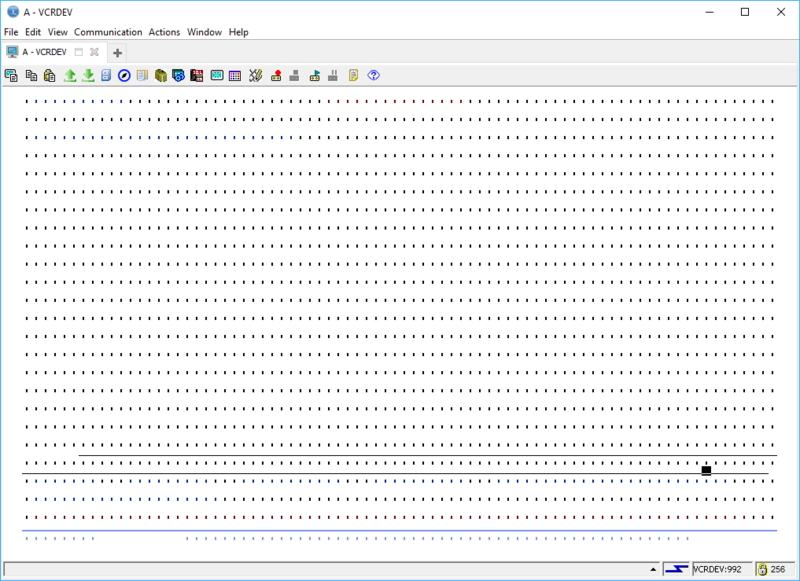 Spoiler Alert – I ended up back with the default font IBM 2170 because it’s the cleanest looking. 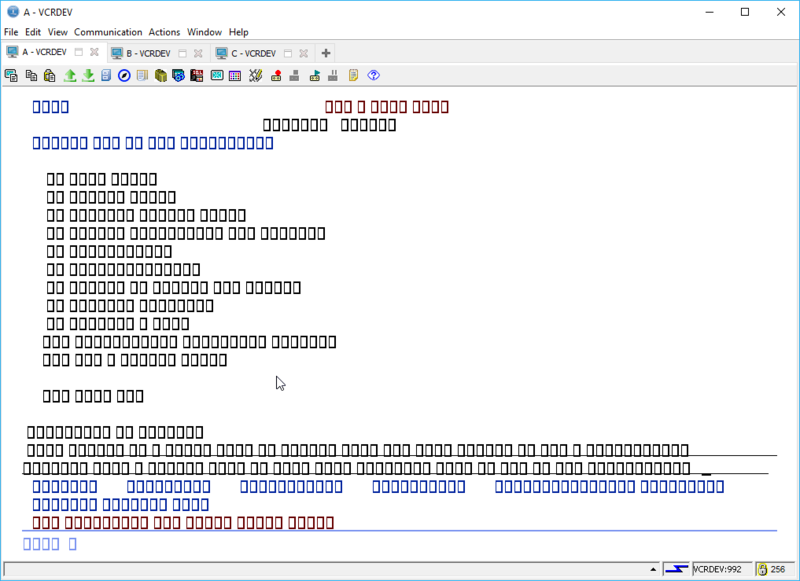 IBM i 5250 Screen Sizes – Widescreen for the Win!